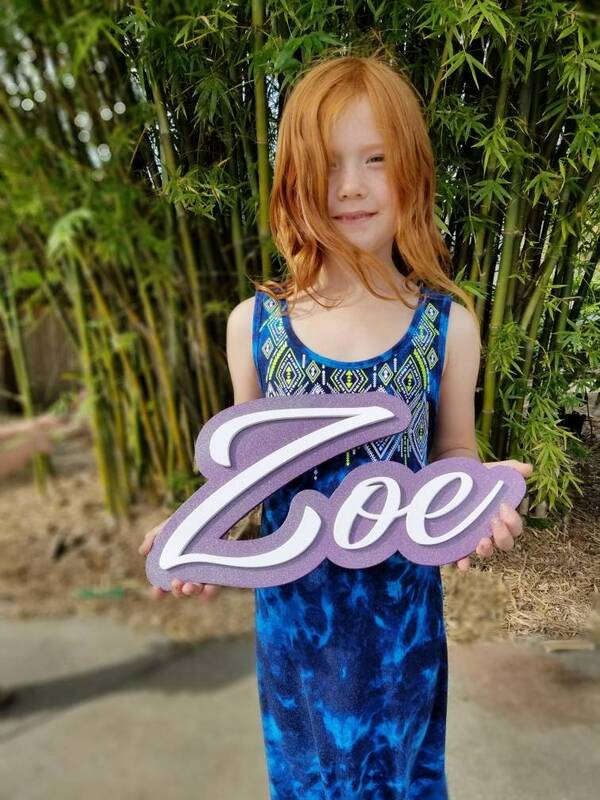 DIY Laser cut wooden signs personalized for you! These are crafted from laser cut 1/4" birch plywood by me here in Port Orange Florida. 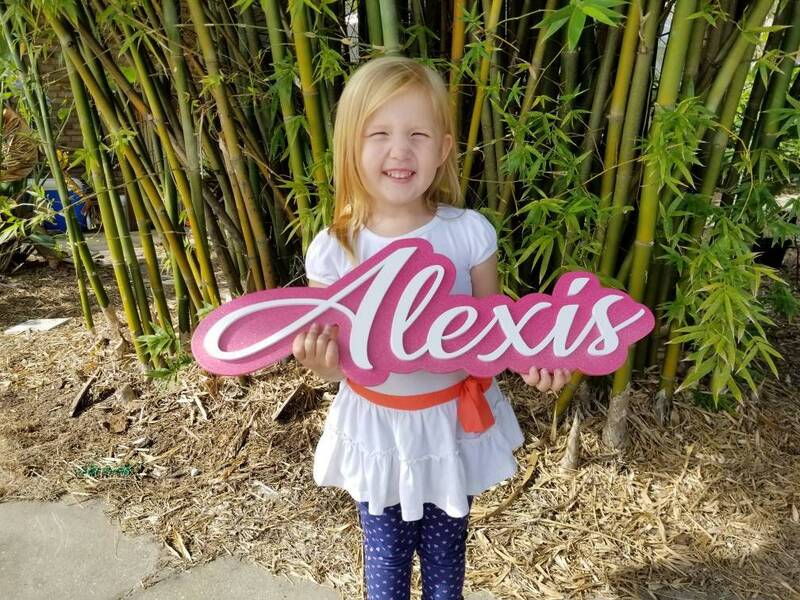 Each name consists of a backing piece and the lettering of your choice. Letters will be 7.5-8" tall with another 1" total height for the backer. Length will vary based on the number of letters. You are purchasing an unfinished sign that can be stained/painted however you choose. Photos shown are examples of an easy to achieve finish using paint available from a can. If you have questions about finishing please ask and I will be happy to share how I achieved those results.